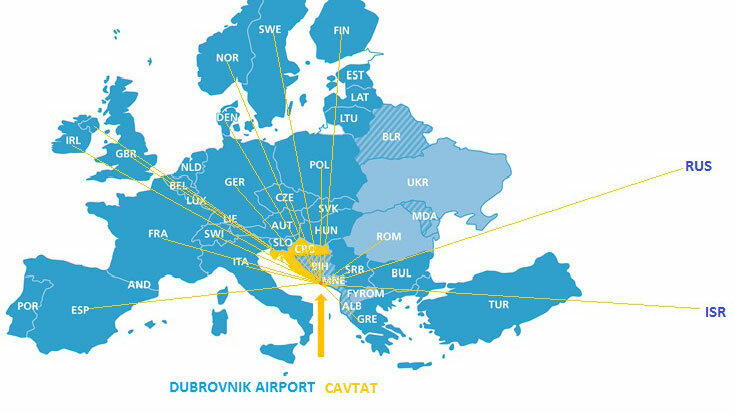 Once you arrive to Ćilipi airport you can reach the city by taxi (the price is app. 250 kunas or app. 35 Euros for one direction) or you can take a shuttle bus which is linked towith each plane lending. The bus will first drive you to Pile area which is the location of the IUC and of the Dormitory. If your accommodation is elsewhere you can take the local bus or a taxi to take you to your desired address. The next stop of the shuttle bus is the main bus station in Gruž area. The bus ticket from the airport is 35 kunas or app. 5 Euros in one direction. Once you reach the main bus station in Gruž area you can take a taxi. get a taxi to take you to your desired destination or you can wait for thea local bus (1A and 1B) to take you to Pile area (where IUC is located). If you are coming with your own car make sure that your accommodation also offers a free parking service since parking in all Dubrovnik streets is charged and free parking is very hard to find. It is recommended that in Dubrovnik you use public transportation. Dubrovnik is a rather small town so majority of distances can be reached by foot. However, there are many buses that cover all parts of the city. The map of bus lines and the time table. If you pay a ticket entering the bus the price is 12 kuna. You can also buy a ticket at the news-stand and the price is than 10 kunas.